When we went to Hawaii we had to leave 3 of our 4 kids with loved ones. Of course this is the longest I have ever left any of my kids behind. I was so worried. I typed up every little thing about each kids favorites, foods, and routines. I was mostly worried about my 2 year old. What would my kids do with out me for a whole week? Turns out it was more like what will I do with out my kids for a whole week?! Everything we did I couldn't help but think how my kids would love it. They were just fine with out mom. Now there were a few things I did to make this a lot easier, besides leaving them with family that I trust completely. I wrapped presents for each kid for each day I was gone. I labeled each one for each kid and each day of the week. Of course they had little reminders about being good on them. Granted I bought all the items at the dollar store. Some of them were a package of 6 bubbles for a dollar wrapped individually for each kid. The kids loved them! The "sitter" had to set a time each day to open them, otherwise they tried to get into them first thing each morning. I had in my mind that they would get opened at a time of desperation each day, but it worked out better this way. 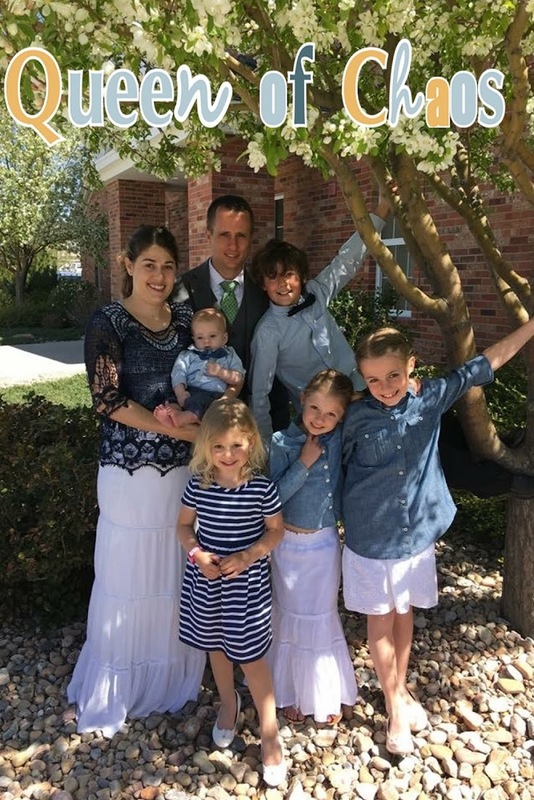 The kids really enjoyed having something special from their mom and dad every day, and the "sitter" appreciated something that was time consuming. Of all my giveaways this is by at the yummiest one yet! 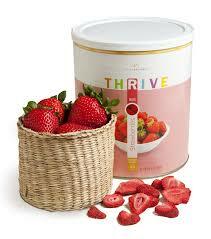 I love Thrive and am looking forward to using there products more and more in the future. 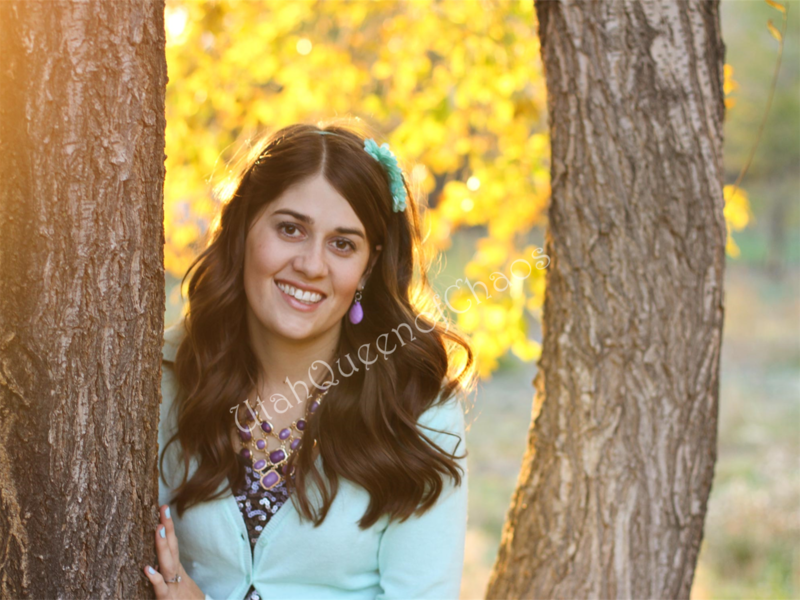 # 200 Jenalen Olsen "Thanks for the giveaway!" Congratulations! I have sent you an email so be sure to respond with in 48 hours to receive your yummy winnings. 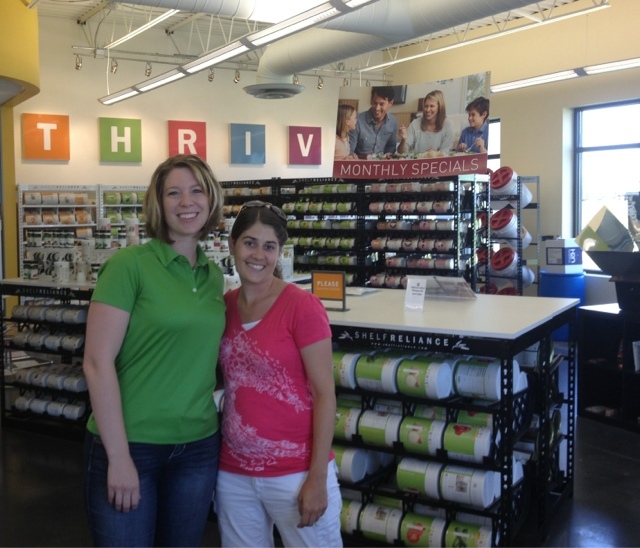 Make sure to contact Heidi for all your freeze dried foods or food storage needs. Not only is she extremely helpful she can show you in the most cost effective options. 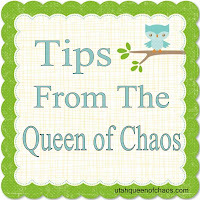 Make sure you have like her Facebook page to know when her classes, tips or giveaways are. 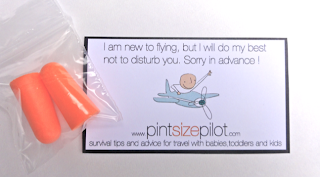 If your about to travel with kids in a plane make sure you're ready. Sometimes stressing over the plane ride lasts longer than the actual plane ride. Being prepared can help. It won't smooth out all the wrinkles, but at least you'll have an iron and ironing board ready to go. (Yes that's one of my husband lovely analogies). 1. Start out by making sure to read the fine print. Know what the policies are for liquids, baggage, carry on, and so on. All to often we assume or remember the last time we flew. Things change often as do policies from one airlines to another. 2. Plan ahead. Hopefully we are all familiar with the liquids policies. Less than 3 oz, in a ziplock bag, and has to come out of your bag for security check. Make sure you place things like this, your laptop, etc. at the top of your bag. I also always bring an empty water bottle. That way I can fill it up for free after I pass security. In line to go through security. A. Make sure that all loose things in your pockets or stroller are in a bag of some kind. This prevents forgotten things from prior adventures, or things falling out when folding up your stroller. B. Make sure all baby food is in it's own separate ziplock bag, and that you take them out for security. If the baby food is less than 3.4 oz (like the half size plastic ones) than you should be OK. 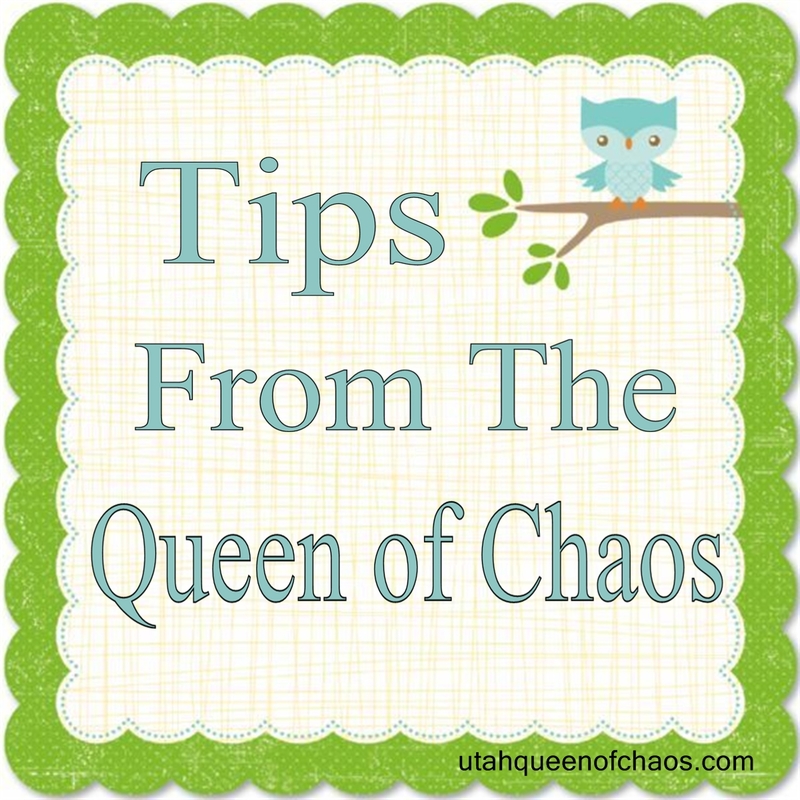 If you are taking the regular size baby food jars they are allowed in "reasonable quantities." 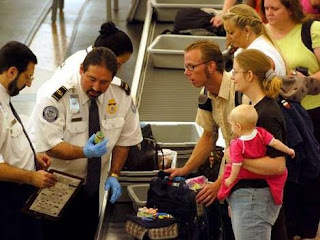 They may require one parent to have a pat down as well if they can't or don't check all the baby food as a "threat." C. I also make sure I empty my pockets into my bag before going through as well. Usually as I leave my house for the airport I put all the last minute things in my pockets. D. Make sure to arrive early enough that you don't feel rushed through. Especially with kids or if all of a sudden you have a huge long security line. 4. Kids love new things. I highly recommend a trip to your local dollar store before any kind of travel. Kids are always entertained longer with things they have never seen before. 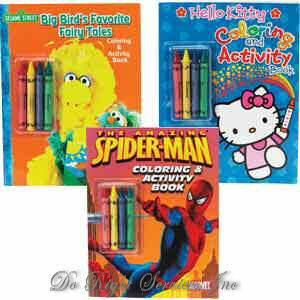 New coloring books and cool crayons are great. I am sure browsing around you will find plenty of cheap cool things to get. You can even wrap them up to make it more intriguing for the kids. Especially for longer flights. They could open a present for every hour while traveling. 5.When we flew I was very apprehensive to fly the 6 hour red eye with a 7 month old. 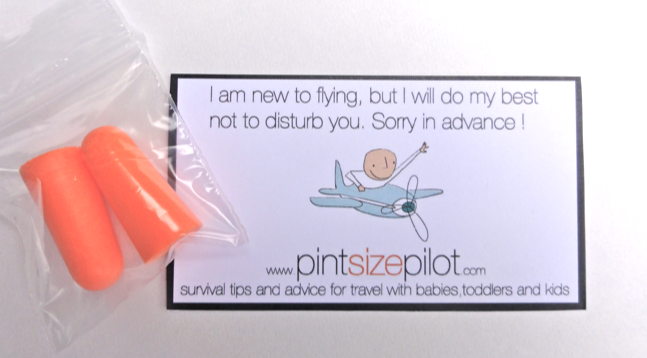 I wanted to buy enough ear plugs with some treats for everyone on the plane. I know some people have done this and I think it warms some people up to being more tolerant. I thought it was cute. Then my husband reminded me that our daughter was a passenger on the plane with a right to cry. As unfortunate as it may be, it's not the end of the world. Whether you want to take the compassionate road or the tolerance road, that's your choice. (As a side note, my baby did great! Hardly made a peep, and I saved all that money, and should have saved the stress as well). 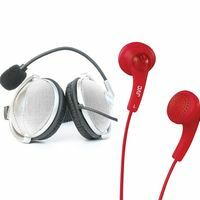 Bonus- Don't forget to bring earphones, especially for longer plane rides. At first I thought I was being more smart by bringing smaller more compact ear buds. A 6 hour flight with complementary movies sounds really nice, till your ears hurt from ear buds being in them too long. Make sure you look at the length of your flight when deciding whether to bring headphones or earphones. Short flights you may not even need them at all. 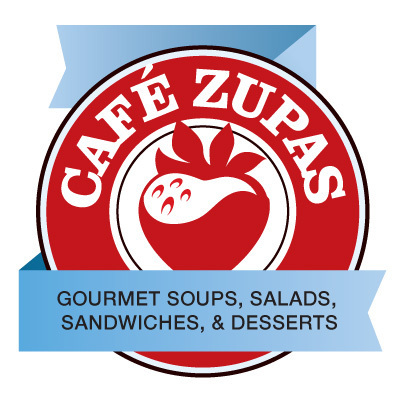 I will never forget the first time I ate at Café Zupas. It was a magical and addicting moment. A place with yummy and healthy food? How did I not know about this place sooner? That was when they only had 2 places open. Now they have over 19! One of which is opening this weekend. I was invited to join there new store in a VIP dinner party. Being thrilled to receive an invitation is an understatement. My husband and I went and tried 1 of their 3 new items on the menu. They have a Mediterranean turkey sandwich, pistachio crème brule, and a pomegranate spinach salad that looks refreshing! We tried there pistachio crème brule, which is delicious. It has that nice creamy subtle pistachio flavor with some berries on top for some sweet bursts. I loved it. If you want to try it this Thursday through Saturday, July 11th-13th, at their new West Valley location they are giving free dessert with every dine in meal. It’s no celebration without dessert! You’ll receive one free dessert with every meal purchase (must dine-in to be eligible). Come early and claim your place in line. The first 50 people will get their entire food purchase at 50% off! WIN FREE FOOD FOR A YEAR! Yes- you read that right! Every customer that comes through our line will be entered to win free food for an entire year (a $520 Cafe Zupas gift certificate)! That’s enough to eat at Cafe Zupas every week for a year! $25 GIFT CARD EVERY 15 MINUTES! In addition to our drawing for a year, we’ll also be giving away a $25 gift card every 15 minutes! When you order your food, you will become part of a drawing that will take place every 15-minutes. While you sit back, relax, and enjoy your food, we’ll announce the winners for your group! Not sure what to try? I have a hard time choosing myself. My favorite soup is also their number 2 most sold soup, and that is the tomato basil. I have always loved tomato soup. I have had my fair share of tomato soups from several places, and hands down they have the best. However, their #1 most sold soup is the chicken enchilada soup. 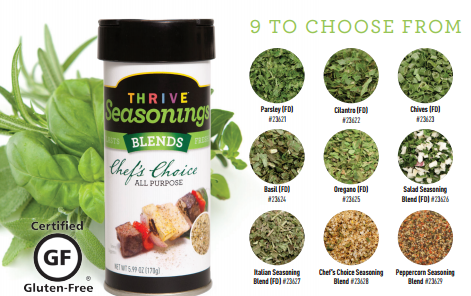 It is so rich and full of flavor, I recommend at least tasting it next time your in line. Simply because they let you do that. That's right, they let you sample the soups. Café Zupas is my favorite place to eat. I know I am always getting healthy fresh food, that fills any craving! If you can't make their grand opening in West Valley don't sweat it! 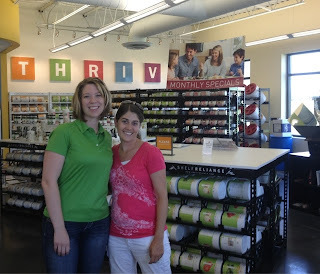 They have several locations all over Utah, and also in Arizona and Nevada! Be sure to follow them on Facebook or Twitter to stay up to date on what great deals and promotions they have.